During the last decade, the online forex industry has managed to evolve and become a legitimate market for retail investors and traders. Regulation agencies and authorities realized the benefits of the forex industry and provide safety and security for traders and investors. The top forex brokers make sure to offer traders with all the necessary tools to trade the foreign exchange market as well as other CFDs instruments (stocks, bonds, mutual funds, crypto, etc.). In 2019, the forex market remains the largest traded market in the world with a daily average volume of $5 trillion. Regulation agencies and authorities realized the benefits of the forex industry and provide safety and security for traders and investors. The top forex brokers make sure to offer traders with all the necessary tools to trade the foreign exchange market as well as other CFDs instruments (stocks, bonds, mutual funds, crypto, etc.). In 2019, the forex market remains the largest traded market in the world with a daily average volume of $5 trillion. In this guide, we will cover all you need to know about Forex Brokers and bring the most updated top 10 Forex Brokers in 2019. If you want to enter the Forex market in order to trade currencies, you need an online Forex broker. Online Forex brokers provide retail traders/investors a trading platform, a reliable connection to the global Forex market and additional tools to buy and sell currencies and other financial instruments. Foreign exchange (Forex) trading is the exchange of different currency pairs through the over the counter (OTC) global market. Unlike other securities and financial instruments such as stocks, bonds, and futures that are being traded on exchanges on specific hours and on specific terms, the foreign exchange market is a decentralized global market that operates through banks, financial services, and individual traders. 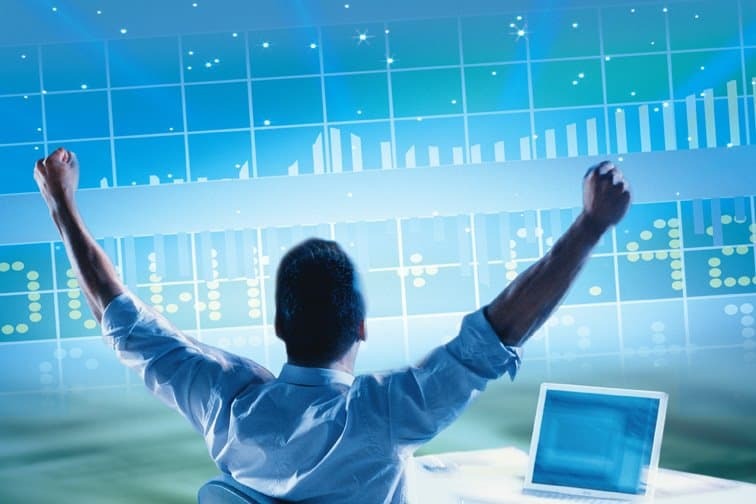 Online forex trading is being offered to the public by online forex brokers that connect traders to the forex market via online trading platforms and ECN connection. The Forex market has no central exchange to insert orders as it is an OTC (over the counter) market. Therefore, forex traders who are interested in entering the market must choose a forex broker that match their needs and expectations. Some of your success as a trader will depend on your broker’s services. There are several elements that will make a big difference among all forex brokers. For instance, if you are trading forex, you’ll need a broker that offers tight spreads, a substantial currency pairs selection, and robust margin levels. 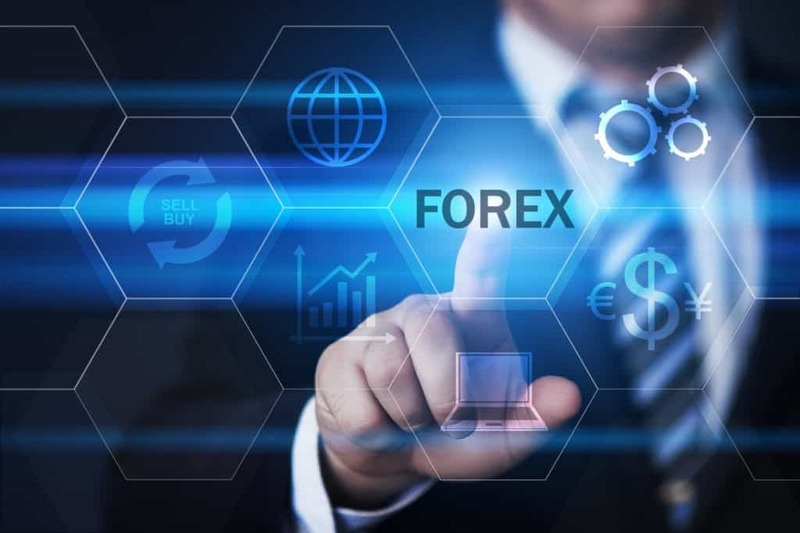 Some of the factors that must be taken into the account before choosing a forex broker include the broker’s reliability, commissions and fees, regulations, trading platforms, deposit and withdrawal options, account types, and customer support. 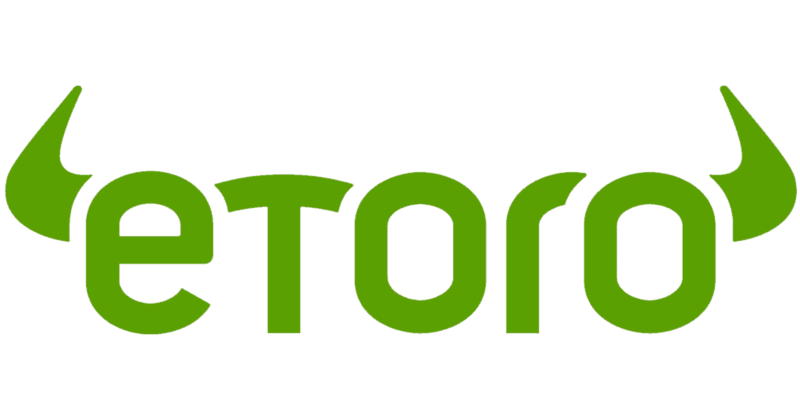 eToro was established in 2007 as a social trading platform. The eToro platform allows you to trade on your own but also interact with other users and copy other successful traders. eToro is considered a reliable forex broker as the broker is regulated by the regulatory authorities FCA, CySEC, MiFID, AFSL, and ASIC. eToro’s popularity among traders is unquestionable with 3 million users in 200 countries and 200,000 active users. Plus500 is a huge company that offers online CFD trading instruments including forex, stocks, ETF’s, commodities and crypto coins. Plus500 is listed in the London Stock Exchange with a total market cap of $913M and annual revenue of $437.2M (2017). Founded in 2010, 24Option offers its clients trading in CFDs, forex, commodities, stocks, and cryptocurrencies. 24option is regulated by the Cyprus Securities and Commission (CySEC). Markets.com, a subsidiary of Playtech, is one of the leading forex brokers in the industry and regulated by CySEC, FSCA, and ASIC. Markets.com was founded in 2010 and considered as one of the most reliable brokers in the industry. Looking back, Forex.com is one of the oldest forex brokers in the industry. First launched in 2006, Forex.com has managed to build a strong reputation. Forex.com is regulated by the Futures Commission Merchant (FCM), Retail Foreign Exchange Dealer (RFED) and the Commodity Futures Trading Commission (CFTC) which allows the broker to provide online forex services to residents in the United States. Ally Invest is an American company which offers online trading platform investments on various products in extremely low commissions. Ally Invest was previously known as TradeKing and aims to provide the users with a wide variety of assets at low-cost. 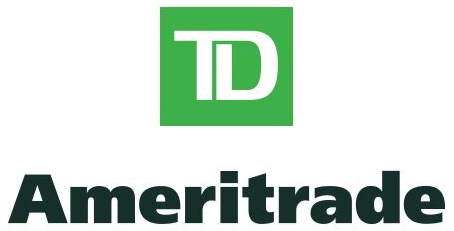 TD Ameritrade is a US brokerage firm located in Omaha, Nebraska which provides forex online trading among many other financial services and products. TD Ameritrade is listed on NASDAQ under the symbol AMTD and is highly regulated by several regulators in the United States. Degiro is a low-cost Dutch company that gained popularity due to its low rates and advanced mobile trading app. Degiro is regulated by the Dutch regulation authorities AFM and DNB and considered a safe and genuine broker. Located in London, UK, IG Group is the biggest CFD provider in the world. IG is listed in the London Stock Exchange and is a member in the UK FTSE 250 index. The company’s revenue was 518.7M GBP in 2017. IG was founded in 1974 and is regulated by top regulators around the world. Pepperstone was established in 2010 in Melbourne, Australia and has gained the trust and popularity among traders as one of the best forex brokers in the world. Pepperstone provides its traders 11 trading platforms and a wide selection of assets. Pepperstone being considered a safe choice for traders as the broker is regulated in Australia and in the United Kingdom. Currency pairs are divided into three different groups: majors, minors, and exotics. Major currencies include seven currency pairs: EUR/USD, GBP/USD, USD/JPY, AUD/USD, USD/CHF, USD/CAD. Major currency pairs constitute the largest volume share in the forex market, 85% of the total forex volume. Obviously, the most traded currency pair in the world is EUR/USD. As you probably noticed, all the major pairs include the US dollar (USD). Minor pairs are formed by the combination of major currency pairs excluded the US dollar (GBP/JPY, EUR/GBP, AUD/JPY, AUD/CHF, etc.). Exotic currency pairs are a combination of a major currency and a developing country’s currency: USD/MXN, EUR/TRY, USD/HKD, USD/SEK, etc). Interpret a forex chart is actually quite simple. We will guide you in understanding a trading chart accurately and use it as a basic trading tool. First, there are several types of trading chart: Line chart, bar chart, and candlestick chart. We will focus on the candlestick chart as it is most common and used forex trading chart. The chart below present the EUR/USD daily chart. The horizontal line represents the timeline depending on the timeframe you choose. The vertical line shows the price of the pair (In this example, the EUR is the base currency and the USD is the quote currency). Every candlestick bar presents a timeframe – for example, in the chart below the candlestick bar shows a full trading day as we chose a daily time frame. If the candlestick is green, the pair’s daily change was positive, meaning the EUR was strengthened versus the US dollar. If the candlestick is red, the opposite applies. 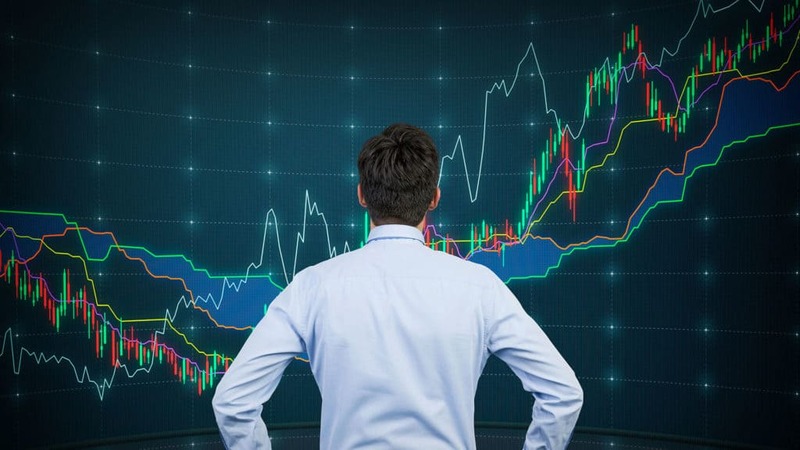 In order to use a forex trading chart as a useful trading tool, traders add technical indicators into the chart to predict currency pairs direction. Among the most popular technical indicators: Moving Average (MA), RSI, Bollinger Bands, Stochastic Oscillator, Fibonacci and Support & Resistance. There are many forex trading platforms provided by online forex brokers. While some brokers operate their in-house trading platforms, there are some popular trading platforms for forex traders that are in use by many of the online forex brokers. Those include NinjaTrader, cTrader, TradeStation, MT4 and MT5. Among all the trading platforms, the MetaQuotes platform MT4 is the most popular forex trading platform in the market. MetaTrader offers perhaps the best charting software available for forex and CFD traders. One of the unique tools of MT4 and MT5 is the expert advisors that allow you to backtest your trading before entering the real market. MetaTrader 4 was first released in 2005 and gained huge popularity between 2007-2010 among forex traders. These days, the trading software remains the most used and popular software due to its simplicity and functionality. In 2010, MetaQuotes released the new version of MT4, MetaTarder5. The first release of MT5 was not a success and traders continued to favor the MT4. However, following many updates and improvements, new additions of new technical indicators, as well as the improved expert advisor feature which allows you to enhance algorithmic trading, elevated the MetaTrader5 to being one of the top trading platforms in the market. Types of forex trading accounts vary by each broker, however, most of the brokers support a number of trading account types. Mini Account – A mini trading account allows traders to make trades using mini lots (portions of a full FX transaction). Premium (VIP) Account – As the name implies, this account matches those with high capital that receive low rates and fees. Managed Account – This account is funded by the trader, and managed by one of the brokers’ analysts/professionals. Pip – A ‘percentage in point’ is the smallest fluctuation in a currency exchange rate. EUR/USD – 1.1321. Spread – Similarly to other financial instruments, a forex pair has a spread between the buy and sell price. Leverage – Defined as the broker’s ratio to leverage the trader’s funds. Margin – A margin is a loan taken by the trader from the broker as the percentage of a full position. Most forex brokers require 2%, 1%, .5% or .25% margin ratio. Volume – In forex, the volume is the number of lots traded in a specific asset or account. Slippage – Slippage is an execution of a trade at a different price than the initial order. Lot – Lot size equals 100,000 units of currency, meaning 1 lot is a purchase of 100,000 units of the base currency. Economic Calendar – A daily/weekly/monthly calendar covering macroeconomics data. How to Make Profit with Forex Trading? If you are not confident in your ability to trade, you can join a forex broker that provides social trading like eToroand copy successful traders. Similarly to other professions, you must be patient at the beginning of the trading process. Becoming a stable profitable trader takes time and effort. You’ll have to form your trading strategy first – While some feel more comfortable to trade on fundamental news and macroeconomic data, others trade with a technical chart using technical indicators to decide the position’s entrance point. Before you risk your funds, it’s important to build your own strategy. First, you need to know the most liquid and volatile hours. Again, it depends on your preferences, most traders search high volatility, however, some traders make their profit on a slow market. Second, understand the costs of your strategy, the risk/reward ratio and the probability of making a long term profitable account. Regardless of your strategy, choosing a forex broker is one of the most important decisions for a forex trader. Luckily, we did the research for you and all the brokers above are reliable and will provide you with the peace of mind to focus on your trading progress. Is online forex trading safe? Same as any other investment, you can lose your capital by trading forex. On the other hand, forex also provides you an opportunity to leverage your funds and generate a high profit relatively to your initial deposit. In recent years, forex brokers become a much safer investment as most of the brokers are regulated by various regulatory authorities. Not a lot. Each broker has a minimum deposit requirement in order to open an account. With some brokers you can start trading with only $10, others will allow you to start trading with $100, $200, etc. Remember that you have to ability to leverage your capital by trading with forex companies. What is the best way to start trading? The best way is to open a demo account on one of the brokers’ website. Most forex brokers provide a demo account with virtual money to practice and sharpen your trading skills. Another way to start trading is through social/copy trading that allows you to copy successful traders. By that, you can understand markets/instruments behavior and the trader’s decision-making process. Can Forex trading be an investment? Yes, it can. Obviously, it depends on your strategy. For example, some traders use carry trade (interest rate difference between two currencies) to earn a small amount of profit for a long term investment. In general, you can risk a certain amount of your money for a long term period of time. Even if you decide to be a day trader, you can define it as a long term investment. Can I integrate MetaTrader with all brokers? No. Every broker has a different set of trading platforms. While some brokers provide one platform, others will let you choose among several trading platforms. MetaTrader is still one of the most popular forex trading platforms and is offered by many forex brokers. Does Forex trading depend on the Country Economy? Forex trading depends on a number of factors, which one of them is the economic status of a country. For example, a country’s interest rates can determine a specific currency pair direction. 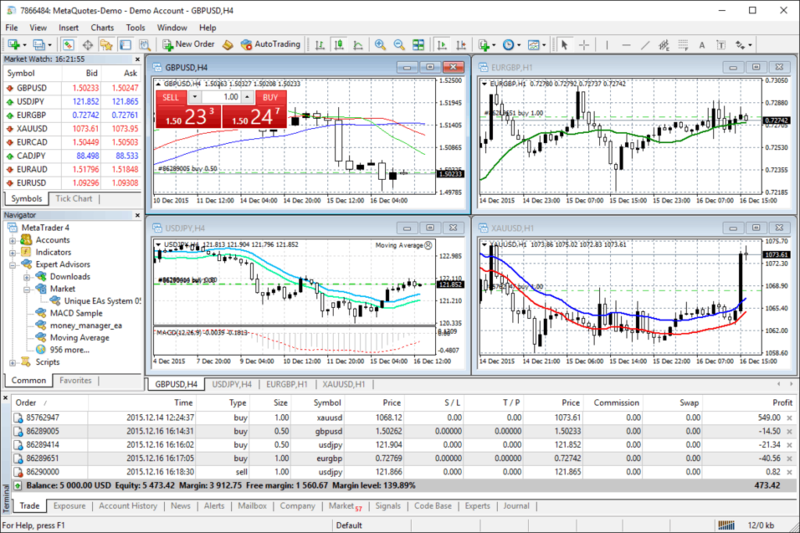 Other macroeconomic data such as GDP, employment rate, inflation, etc are also important for forex trading. 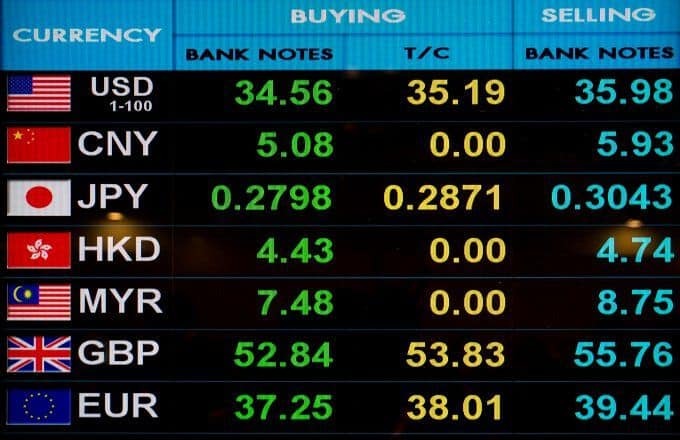 The use of forex trading is enormous and varies from individuals who exchange one currency for another, companies and governments that transfer goods for foreign currencies and banks that transact currencies through the interbank foreign exchange market. First, you need to decide whether your trading strategy is based on fundamental data (macroeconomic reports, economic status of a country and financial news) or based on technical analysis that helps you to predict price fluctuations. Some traders integrate both fundamental data and technical analysis. Following that, you will find your own unique strategy that works best for you. Can I trade Forex in the US? Currently, it’s illegal to trade forex through CFDs in the United States. In order to trade forex in the US, you must open an account with a US regulated broker such as Forex.com, Oanda and Interactive Brokers. Nowadays, as forex brokers are regulated, you need to register at one of the brokers’ website and provide the required documents. Once your account has been approved, you can deposit funds and start trading in the real market.